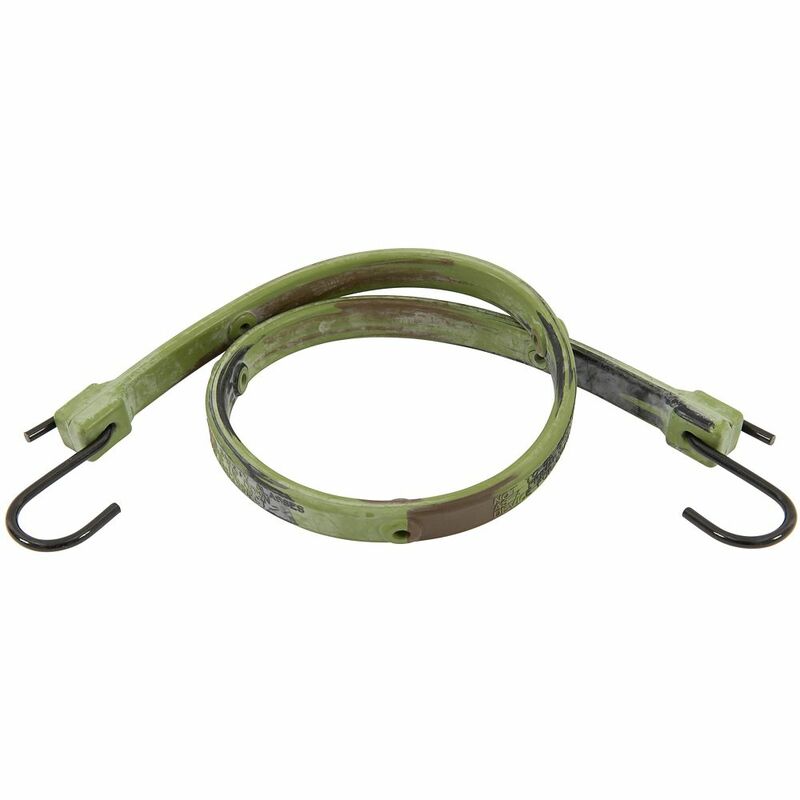 Versa-Strap, 32 InchAdjustable Camo EPDM KEEPER<sup></sup>'s VersaStrap<sup></sup>'s are adjustable and engineered out of an EPDM rubber compound to take rubber straps to the next level of strength and durability. Unlike straps manufactured from cheap, inferior rubber, these straps will not crack, rot, or lose rebound qualities, even if used infrequently. This rubber remains nonbrittle in temperatures as low as -40F and is not damaged by sunlight, ozone, or demanding weather. Tough zinc plated, steel hooks resist corrosion and do not bend, break, or rust as easily as other straps, making KEEPER<sup></sup> EPDM Rubber Straps the best choice whenever you need a reliable strap.